Dr. Linda Fox-Rogers is a lecturer in spatial planning in the School of Natural & Built Environment at Queen's University Belfast. Linda graduated from Trinity College Dublin in 2007 with a B.A. (Mod) in Geography and Sociology and is a fully qualified planner having obtained a Masters in Regional and Urban Planning in University College Dublin (UCD) in 2009. 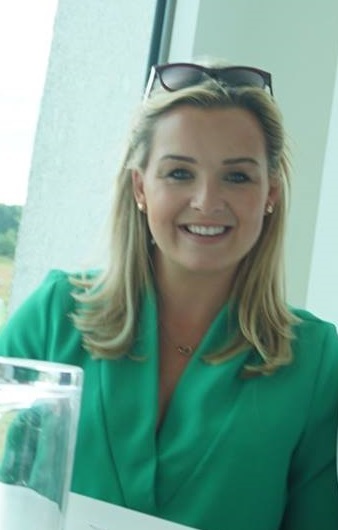 She also holds a PhD in Planning and Environmental Policy from UCD and has experience of working within the private planning and procurement sectors. Linda currently sits on the Council of the Irish Planning Institute and is the Chair and Convenor of the Institute's Policy and Research Committee. Linda's research is guided by her interest in the analysis of governance processes in the fields of land-use planning, urban development and environmental policy. She is particularly interested in exploring how the uneven power dynamics between the multiple stakeholders in the planning system play out to produce substantive social, economical and environmental outcomes which often negate sound planning practice. Set against this concern, her research spans three thematic areas: 1) Power and politics in the planning system; 2) The neoliberalisation of the state and planning; and 3) The creative economy and regional development policy. Linda has been successful in attracting funding from the Irish Research Council where she was awarded a Government of Ireland Postdoctoral Fellowship Award and Government of Ireland Postgraduate Scholarship Award in 2010 and 2014 respectively. Her work has been disseminated at a range of international and national conferences and is published in a variety of peer-reviewed journals such as Environment and Planning B: Planning and Design; Cities; Planning Theory, Geoforum, Town Planning Review, Growth and Change., and International Planning Studies. Dr. Fox-Rogers is interested in understanding how the production of the built environment and its various social, economic and environmental ramifications not only reflect, but also reproduce the uneven power dynamics that are inherent within advanced capitalist societies. Set against this concern, her research spans three thematic areas: 1) Power and politics in the planning system; 2) The neoliberalisation of the state and planning; and 3) The creative economy and regional development policy. Linda has a deep interest in advancing our understanding of how issues of power and politics permeate the planning process. This research strand underpinned her PhD thesis, the central objective of which was to examine how power relations arise between key stakeholders in the planning system, the mechanisms by which power is exerted, and how such power imbalances become manifested as social, economic and environmental outcomes which negate sound planning practice. This body of work has been published in high impact journals such as‘Planning Theory’, ‘Cities’, and ‘Environment and Planning B: Planning and Design’. This aspect of Linda's research is concerned with critically analysing how the state and its institutions have been transformed under processes of neoliberalisation. Specifically, she is interested in exploring how the planning system in particular has been reoriented towards the interests of private capital at the expense of the common good as new governance arrangements unfold. Her research in this broad area has been published in ‘Town Planning Review’ and ‘Geoforum’ and has featured in an edited volume which explores issues of neoliberalisation within an Irish context alongside a number of leading international academics within the field of spatial planning and urban studies. Linda also has a strong interest in examining the influence of the 'creative class' thesis on emergent urban development strategies within the context of the creative and knowledge economy. This aspect of her research is reflected in her involvement in working on an EU FP 6 Project, entitled ‘Accommodating Creative Knowledge – Competitiveness of European Metropolitan Regions within the Enlarged Union’ (ACRE). The project focused on exploring the conditions for stimulating ‘creative knowledge regions’ and examining the core factors influencing the spatial behaviour of employees, managers and skilled migrants within the creative knowledge economy. This aspect of her research has been dissimenated at a number of international conferences and has been published via a commisioned report and a article in ‘Growth and Change’. Linda contributes to other modules, including Planning Practice Field study (EVP3003); GIS and Spatial Analysis (EVP7032) and has delivered a diverse range of geography and planning modules as part of her previous post at University College Dublin. She has experience of supervising Undergraduate and Masters students to completion and is currently supervising three PhD students.